A trip to Chester Zoo in early autumn, a day of warm sunshine and blue skies – seems almost unbelievable today, a day of ice, snow and freezing temperatures. Nice to look back…… Trips to the zoo in the dim and distant past with Son were never too successful. He never seemed too keen so it dropped off our radar. Two things put it firmly back on there again. 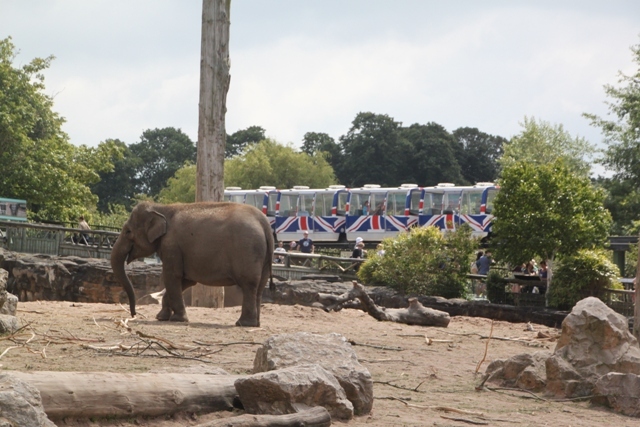 First Trip Advisor ranked Chester Zoo as one of the top ten worldwide – that made us take notice. More significant was the BBC drama series “Our Zoo” – a classic which drew us in from episode one. Lying just on the outskirts of Chester this is the largest zoo in Britain. Its justly famous collection of over 11,000 animals from more than 400 species is displayed in 110 acres of the most glorious, landscaped gardens. It is beautiful – and definitely no small town menagerie. We knew all this, what we didn’t know until we watched the BBC series was how it all started and what a fascinating story that was. Based on the memoirs of June Mottershead whose father George founded the zoo in 1930, “Our Zoo” tells of June’s unconventional childhood, surrounded by all sorts of exotic animals that were rescued and adopted by her war veteran father. The story of how the family eventually managed to buy a crumbling old mansion in Cheshire to house this menagerie, then went on to open Britain’s first collection of non-caged animals is entertaining, intriguing and heartwarming. They achieved their goal, the zoo went from strength to strength and today is one of the best in the world. Not a cheap day out by any stretch of the imagination – £64 for the three of us – Husband was more than taken aback at the ticket kiosk. 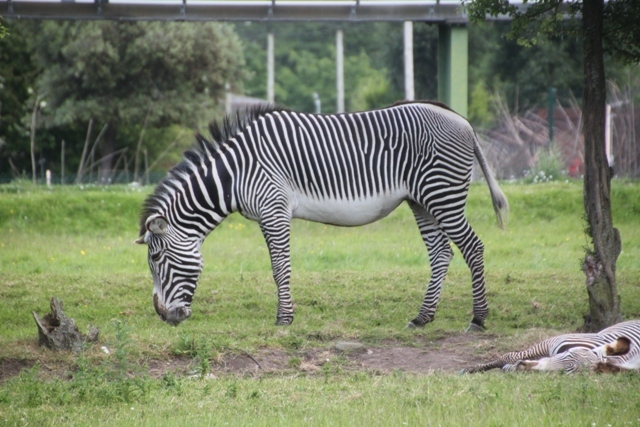 The zoo is a registered charity, at the forefront of conservation and all visits help with that – this made the ticket price a fraction more palatable. Right from the early days this was a haven for rare and endangered creatures. Now they pioneer captive breeding programs – evidence of that in the first enclosure with a couple of very cute baby elephants. A lot of ground to cover, a huge number of things to see, we discovered 12 main attractions or areas. 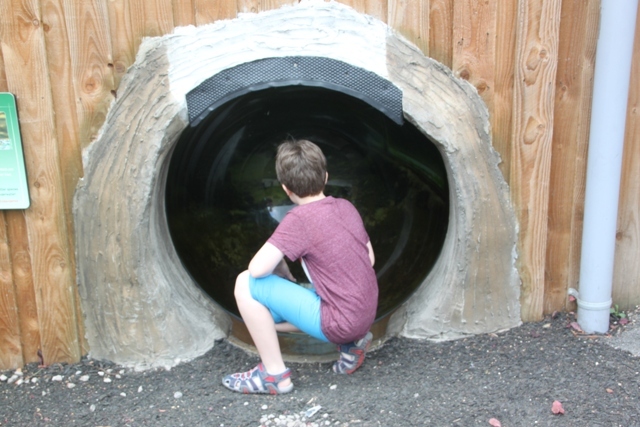 Over the years since our last visit the zoo has developed a number of magnificent new enclosures aiming to recreate the animals’ natural habitats as closely as possible. The elephant area is a great example of this. We passed through Spirit of the Jaguar, also impressive and where the big cats roam freely. 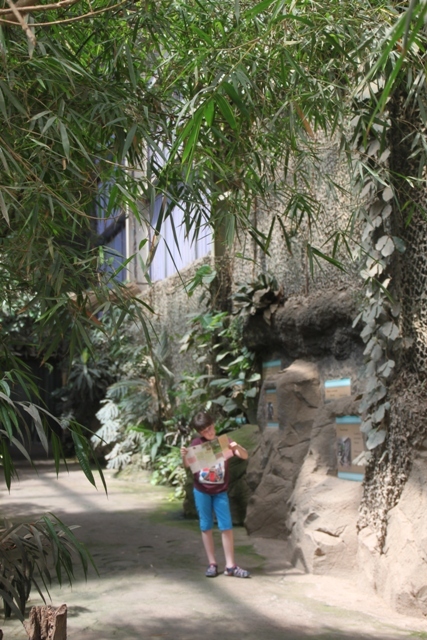 Son’s favourite was Realm of the Red Ape – a group of breeding orangutans enjoying the run of a recreated Indonesian forest. 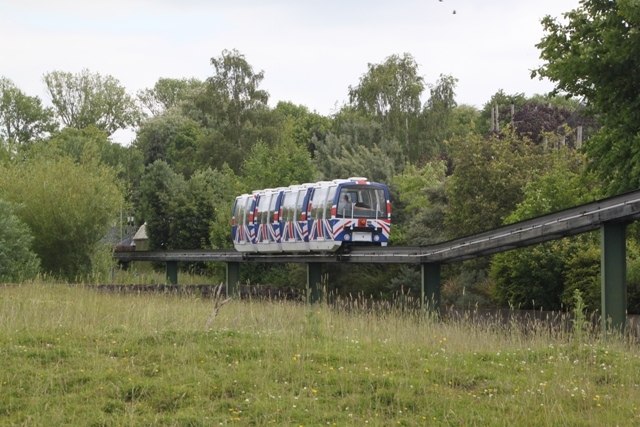 A monorail or alternatively a boat ride will save your legs and allow more ground to be easily covered. However we discovered at the monorail station it would cost a further £16 for us to ride (the same again for the boat), so these were given a miss. Several playgrounds, plenty of eateries, information everywhere plus interesting nooks and crannies to explore, there is so much to see and do we really struggled to fit everything in. By closing time, having gave it our best shot, we just about managed to cover most of those 110 acres. 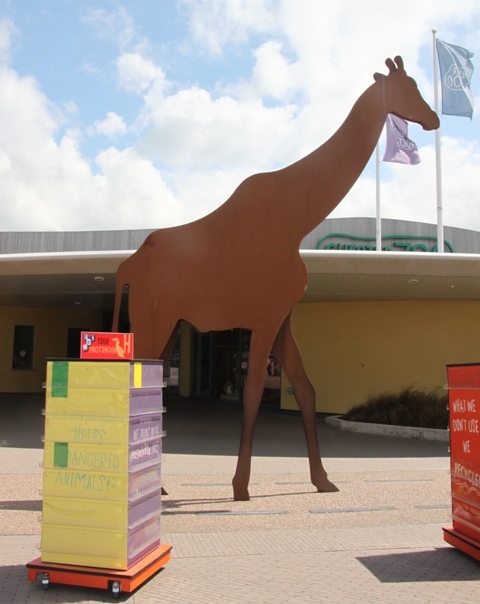 The zoo apparently had a record number of visitors last autumn – maybe thanks to the BBC – we found it busy but not too crowded, there was plenty of space for everyone. All change too, on the way out we saw extensive building work going on – a £30 million expansion and by the look of it something big and exciting in the pipeline. A great day out, a gorgeous setting, fun things to see and do but a strong conservation message throughout – Husband conceded it was worth the money in the end. 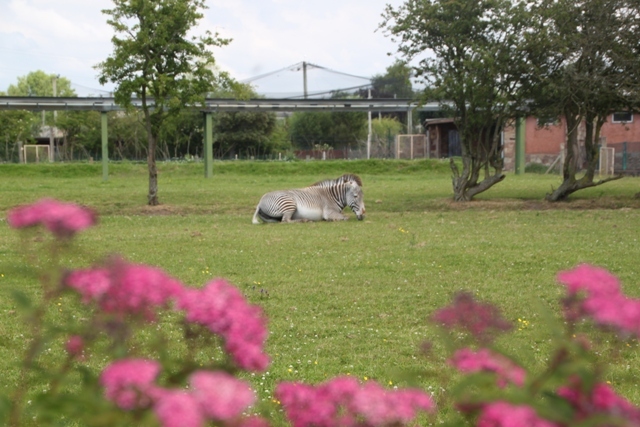 We’ve been to Chester Zoo twice and I agree that it is probably one of the best zoos in the world, not least because the animal habitats look more spacious and stimulating than at most zoos. The orangutan area was our favourite. I guess zoos have massive overheads but it’s a pity they (and aquariums) are always so expensive. I think we were out of touch with zoo ticket prices – so long since we’d been!! That said though, although expensive, there is so much to see and do and if some of the money goes to conservation projects, well you can’t complain about that!! 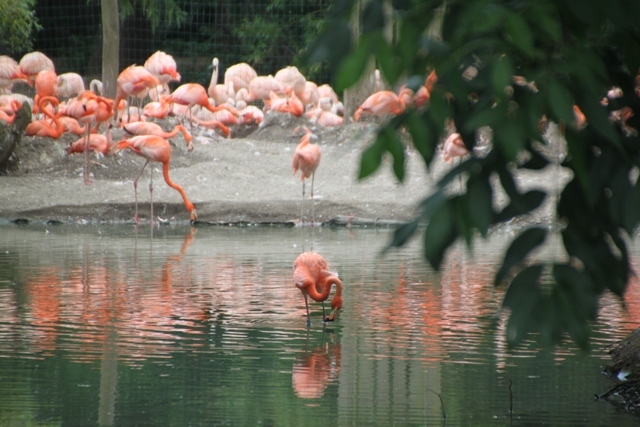 It’s so beautifully landscaped as well – definitely one of the nicest and best zoos I’ve visited. Looks like it was a wonderful day for all of you. Have you been to Longleat once? 4 years ago we went there. It was amazing. Safari, Zoo and Manor. 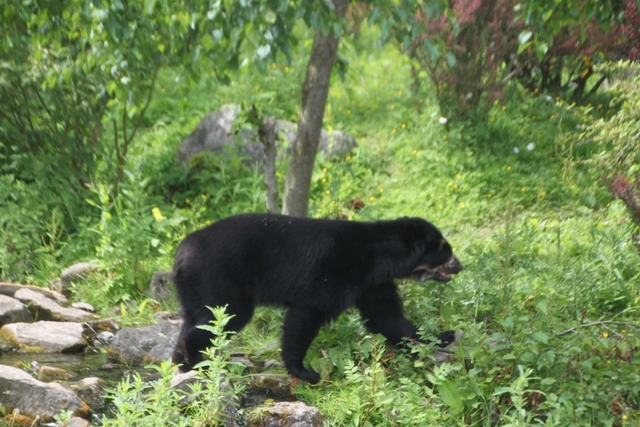 We went to Longleat quite a few years ago – loved it too!! The maze was superb. Have a great weekend. Gorgeous! 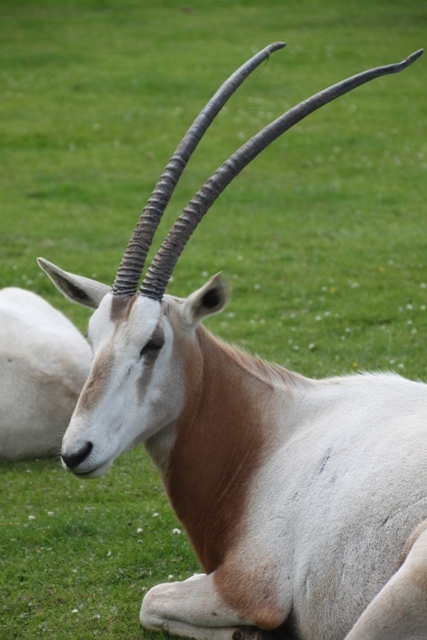 Now I’m curious about the other top ten zoos… We have been to woodland park in Seattle and the gorgeous zoo in Portland quite a few times – Portland in particular is very nice (if you’re ever in the neighbourhood!) Had planned to see San diego zoo this march (children are wishing to see legoland) but am put off by the terrible exchange rate at the moment… Maybe we’ll be back in Europe instead this year! 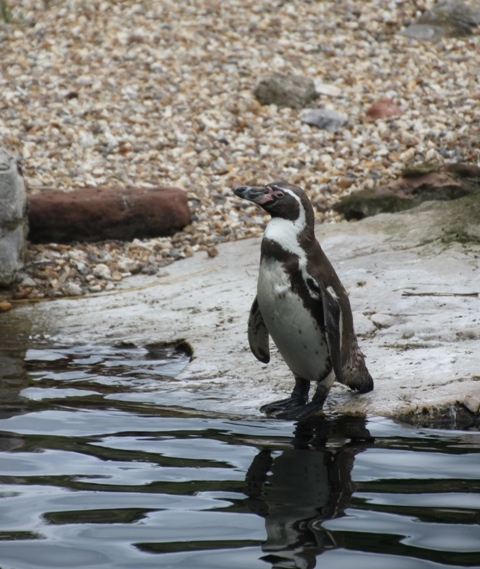 Have heard of the San Diego zoo and would love to go there but didn’t know anything about the other 2 – great to have suggestions and a recommendation!! Thank you for that. Looking forward to reading about your next adventure – whether it be California or Europe!! Have a great weekend. Loved reading about your zoo! My daughter works at the Houston Zoo in Texas and LOVES her job! They have a new kid’s website that was her idea. Your son may enjoy it. 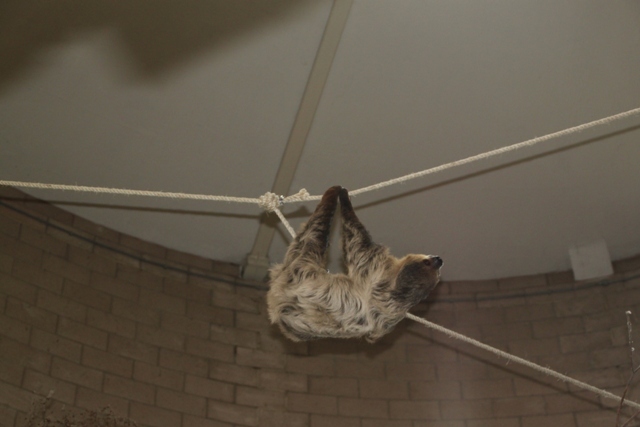 Go to http://www.houstonzoo.org to check it out. Also, we are so excited to be getting a new gorilla exhibit which opens the end of May. Just spent ages looking at the website – thank you for that!! It looks like a great place, now we just want to visit!! My son loved the website and thinks feeding the giraffes sounds like a lot of fun. There’s something about gorillas as well – so intriguing to watch. Hope you have a great weekend. Yikes ! That is a steep price. But you got some great photos out of it. I love the chimp and the flamingoes. Yes, we were a bit shocked but we did have a great day out. I thought the chimp was a very photogenic chap!! It was loads of fun Jessi, we all had a great day out. 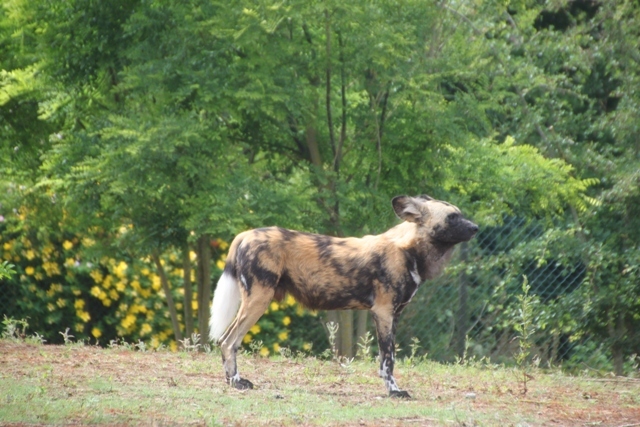 I’d never seen an African Painted Dog before – so unusual and you’re right, incredibly cute!! It is a really great zoo–I agree. My family also loved the town. It was a great weekend destination all the way around! We’ve spent a day walking around the old city walls in Chester – loved that too. It’s perfect for a weekend I definitely agree!! Have never visited Chester Zoo myself so very interested to read your account Joy and the history behind it too. Sounds a fantastic place to visit and I love the photos especially the baby elephant and the fine looking chimp 🙂 It does sound expensive but if the money is going to their conservation projects at least it is money well spent! Hope it warms up for you soon too – was skyping my dad earlier tonight in Yorkshire and he says it is very cold there! 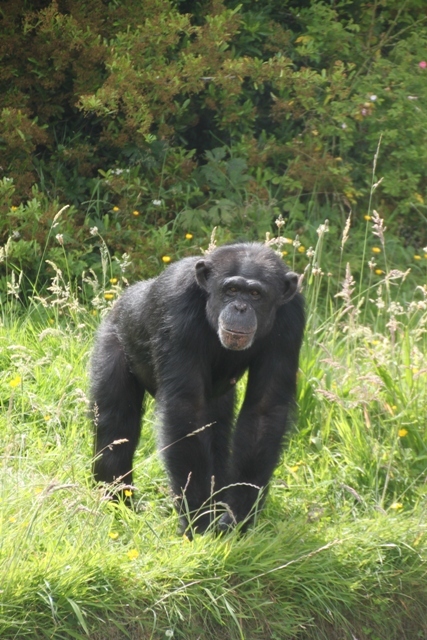 I love that chimp too Rosemary – quite the handsome chap!! It is a great zoo, until we watched the BBC series we knew nothing about the history (and how intriguing and lovely the story behind it was!). Definitely shivering here today – freezing fog!! Hopefully warmer times are on their way!! I can’t believe I have not heard of this zoo! Thanks for sharing. Love the shot of the flamingo birds. It’s a great place – the history and how it started make it even more interesting for me!! I think we’re just out of touch with zoo prices!! It was actually worth it though, a great day out in a beautiful setting and loads to see. The Singapore Zoo monorail sounds like fun too.